Prior to this chapter, you've used secondary research (data already available online) to evaluate your idea. Now it's time to validate your idea with first hand, primary research using your specific product, chosen niche and target market. Validating your idea will give you much greater clarity into the potential of your product idea. Although there's plenty of different ways to validate your idea, the purpose is the same, to get a clear signal as to the actual buyer interest in your product and niche selection. Below, we're going to explore some of the most common methods of product validation that you can use and apply to your product ideas immediately. You shouldn't feel compelled to utilize every tactic listed here, however, carefully choosing one or two of the outlined methods can significantly increase your understanding of the demand for your product and niche selection. By the end of this chapter you should have enough confidence to proceed with your product idea and begin looking for a supplier, or know whether you should go back to the the drawing board. After gathering secondary research, it's time to gather your own based on your exact product, niche selection, as well as target demographic. The quickest and cheapest way is to create a survey using a simple survey tool like Survey Expression, eSurveysPro, Survey Gizmo or QuestionPro. Target Audience Verification: You'll want to start by asking key questions to validate your audience. Asking the wrong people about your product idea is completely pointless. Not all answers are created equal. Initial Interest: Next, you'll need to determine if people fundamentally like your product idea, what they like about it and what they don’t like about it. Purchase Intent: Finally, you'll want to ask some questions to gauge purchase intent. Many people, especially if you know them, will be overly positive so it's important to put people to the test a little bit to find out if they would actually purchase your product. Not to worry if you don't know anyone in your target market. There are several paid services available that can help like Google Customer Surveys or Survata. These services will allow you to create surveys and then distribute the surveys to people in your defined target audience on your behalf for a small fee. Depending on your product and niche selection, contacts on your social networks and in your email contact list might be a great fit for testing your product idea with. Nothing beats actually making sales before sinking a lot of time and money into a business. 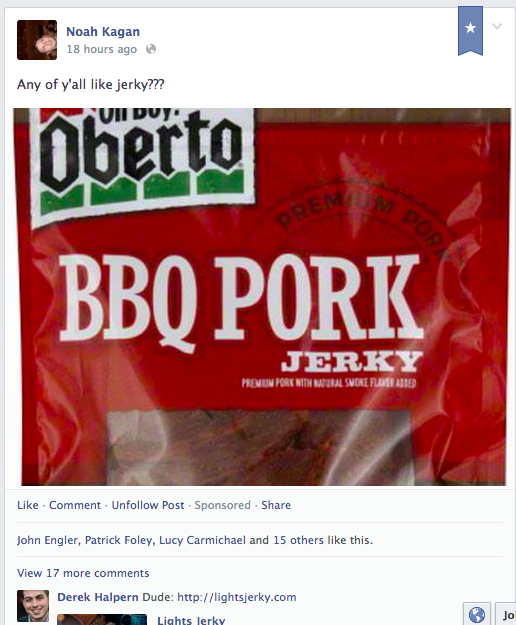 Noah Kagan from SumoMe did just that when he was trying to validate his idea of a subscription beef jerky service. Using his social accounts and personal email contacts, Noah contacted friends and acquaintances he thought would be interested in his new potential service and asked them if they wanted to purchase (all before even having any product to sell). 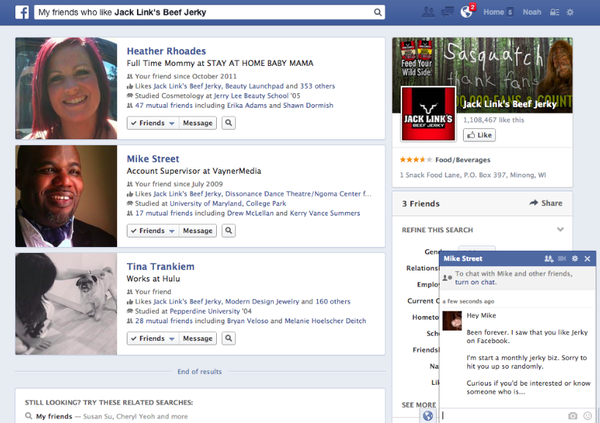 Finally, he used Facebook's Search Graph to find and reach out to people that he was friends with that currently like beef jerky or followed the paleo diet. His call to action to test his idea was clear, send the money to his PayPal account. The results? $3,030 in total revenue all in a 24 hour period of time. 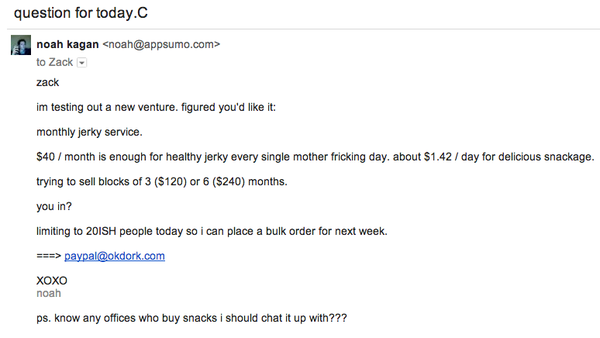 Considering this a successful product validation, he went on to begin SumoJerky. One of the most popular methods of product validation over the last few years is to set up a crowdfunding campaign on sites like Indigogo or Kickstarter. Setting up a crowdfunding campaign not only helps you to validate your product but allows you to collect money upfront to fund the business and initial inventory. Crowdfunding campaigns are usually reserved for new, interesting or innovative products so simply re-selling another brands products or items you've imported from overseas won’t quite make the cut. Crowdfunding your idea as a product validation step also requires quite a bit of work and is more involved than the previous methods discussed. Most crowdfunding sites will require you to have some type of prototype before creating your campaign. Resource: We wrote the book on creating, launching and marketing your crowdfunding campaign. Check out the comprehensive guide here. Another simple and popular method to better understanding interest and demand is to set up a one page landing page with your value proposition and an email collection box. 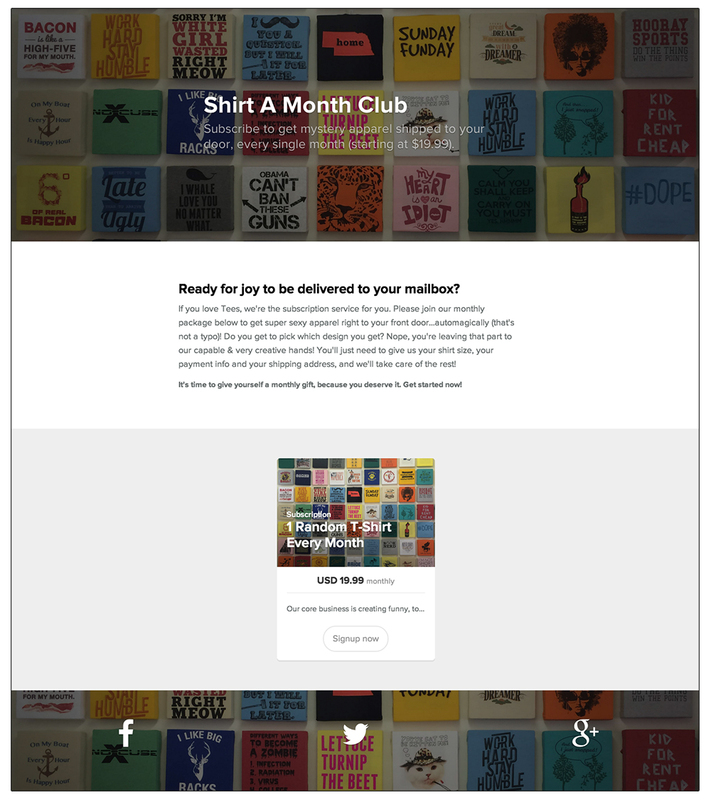 By driving traffic to this site and collecting emails, you can start getting a better sense of true interest in your product as well as begin building a relationship with potential customers. Finally, one of the best and thorough ways to test and validate demand for your idea is by setting up a test store. This popular method, which has been discussed in books like The 4 Hour Work Week, involves setting up a store with your product and driving traffic to it over a period of time to test consumer interest and demand for your product. Note: Keep in mind that according to laws in some countries, states and provinces, when selling items as a pre-order, you're not supposed to capture the payment immediately. It's usually alright to authorize it, but you're only supposed to capture it just before, or soon after, shipping. Shopify is one of the best ways to validate and build a new business. 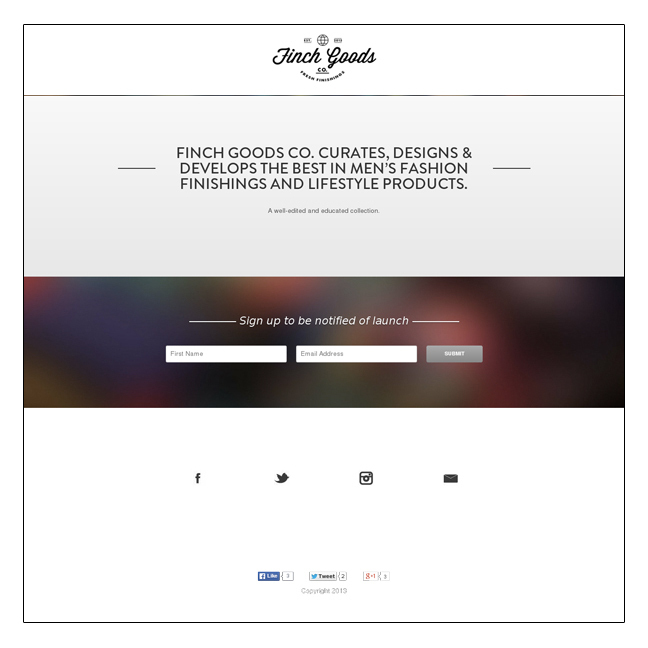 You can quickly create a store and setup a test store or coming soon page. If you've made it to this point, you should have a solid understanding of your product, your selected niche as well as the potential demand for it. Now would be the time to take all the secondary and primary information you've gathered and take a close look everything. You'll want to carefully evaluate each pro as well as each con and decide if you can build a viable business around your idea. In the next chapter, we will be taking a look at the four methods of acquiring your product along with the pros and cons for each model.